Engineers at Ruhr-Universität Bochum have developed a novel concept for rapid data transfer via optical fibre cables. In current systems, a laser transmits light signals through the cables and information is coded in the modulation of light intensity. The new system, a semiconductor spin laser, is based on a modulation of light polarisation instead. 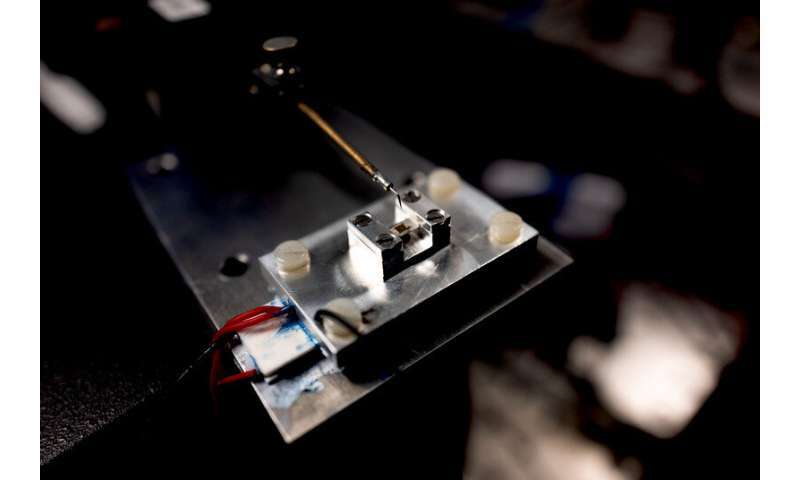 Published on 3 April 2019 in the journal Nature, the study demonstrates that spin lasers have the capacity of working at least five times as fast as the best traditional systems, while consuming only a fraction of energy. Unlike other spin-based semiconductor systems, the technology potentially works at room temperature and doesn't require any external magnetic fields. 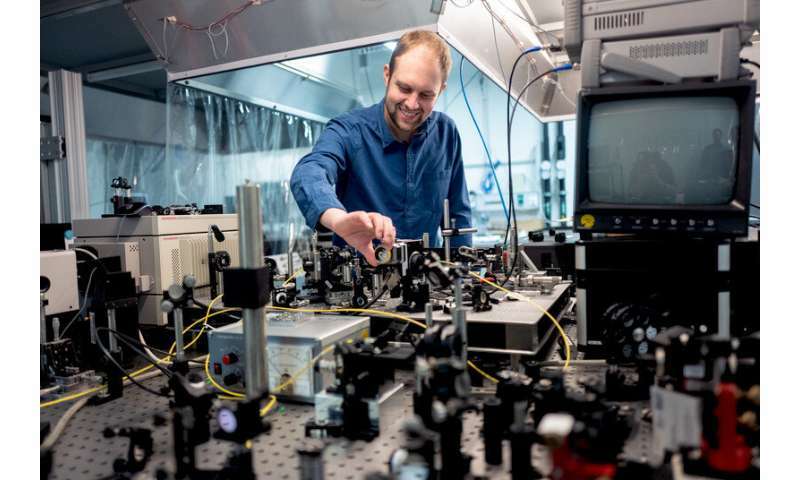 The Bochum team at the Chair of Photonics and Terahertz Technology implemented the system in collaboration with colleagues from Ulm University and the University at Buffalo. Due to physical limitations, data transfer that is based on a modulation of light intensity without utilizing complex modulation formats can only reach frequencies of around 40 to 50 gigahertz. In order to achieve this speed, high electrical currents are necessary. "It's a bit like a Porsche where fuel consumption dramatically increases if the car is driven fast," compares Professor Martin Hofmann, one of the engineers from Bochum. "Unless we upgrade the technology soon, data transfer and the Internet are going to consume more energy than we are currently producing on Earth." Together with Dr. Nils Gerhardt and Ph.D. student Markus Lindemann, Martin Hofmann is therefore researching into alternative technologies. In linear polarisation, the vector describing the light wave's electric field oscillates in a fixed plane. In circular polarisation, the vector rotates around the direction of propagation. The trick: when two linearly polarised light waves have different frequencies, the process results in oscillating circular polarisation where the oscillation direction reverses periodically – at a user-defined frequency of over 200 gigahertz. "We have experimentally demonstrated that oscillation at 200 gigahertz is possible," describes Hofmann. "But we don't know how much faster it can become, as we haven't found a theoretical limit yet." The oscillation alone does not transport any information; for this purpose, the polarisation has to be modulated, for example by eliminating individual peaks. Hofmann, Gerhardt and Lindemann have verified in experiments that this can be done in principle. In collaboration with the team of Professor Igor Žutić and Ph.D. student Gaofeng Xu from the University at Buffalo, they used numerical simulations to demonstrate that it is theoretically possible to modulate the polarisation and, consequently, the data transfer at a frequency of more than 200 gigahertz. The laser light is generated in a semiconductor crystal, which is injected with electrons and electron holes. When they meet, light particles are released. The spin – an intrinsic form of angular momentum – of the injected electrons is indispensable in order to ensure the correct polarisation of light. Only if the electron spin is aligned in a certain way, the emitted light has the required polarisation – a challenge for the researchers, as spin alignment changes rapidly. This is why the researchers have to inject the electrons as closely as possible to the spot within the laser where the light particle is to be emitted. Hofmann's team has already applied for a patent with their idea of how this can be accomplished using a ferromagnetic material. "The system is not ready for application yet," concludes Martin Hofmann. "The technology has still to be optimised. By demonstrating the potential of spin lasers, we wish to open up a new area of research."